Further more, Enpass 4.6 for android supports Samsung Fingerprint scanner for unlocking its keychain instead of typing the master password every time. Moreover Enpass is still the most cost-effective and cross-platform password manager with full-fledged Desktop versions free for all platforms. Sync support added through ownCloud/WebDAV. Password fields now keep history of last 5 changes. Added Autofill of Credit Cards details. Shows last modified date in Details. Fingerprint quick unlock support added for Samsung devices. Copy Username, Passwords and Urls directly from list without opening items. Fresh Toolbar look for Yosemite. Notes: Enpass 4.6 for Windows PC, Windows Phone, Linux and Blackberry ware released, too. 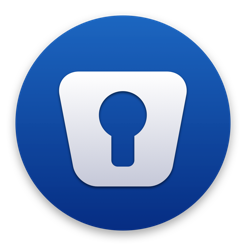 From my perspective, Enpass is still the best password manager app in regard to cost-performance ratio, getting even better and better with every single update. I personally prefer the way Enpass is designed: User-friendly and intuitive. And what’s your favourite password managing app? And why? Let us know and comment!